The ESP8266 seems to be the device of choice for those of us who want to run a webkit exploit locally without having to use a big computer*. I recently ordered one and didn’t find the time to properly explain how to set it up, until now. An ESP8266. 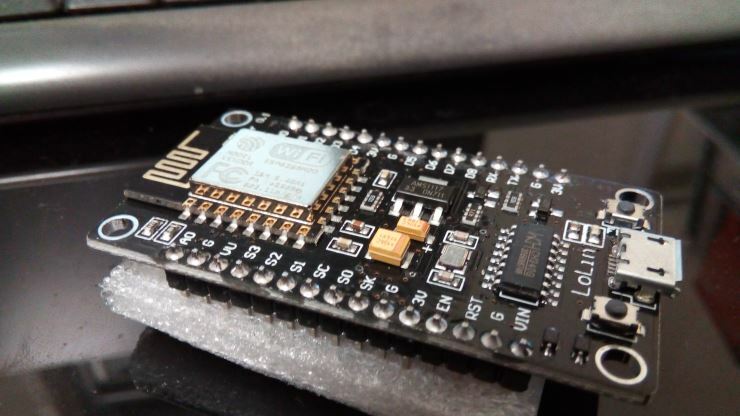 I use a NodeMcu v3 by Lolin, but there are multiple clones and they all should work as long as they have at least 4MB. Here’s one that works. 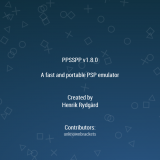 A usb-to-micro-usb cable (that’s your typical android phone cable, or the one from your Dualshock 4) to connect the ESP8266 to your PC, then later to your PS4. 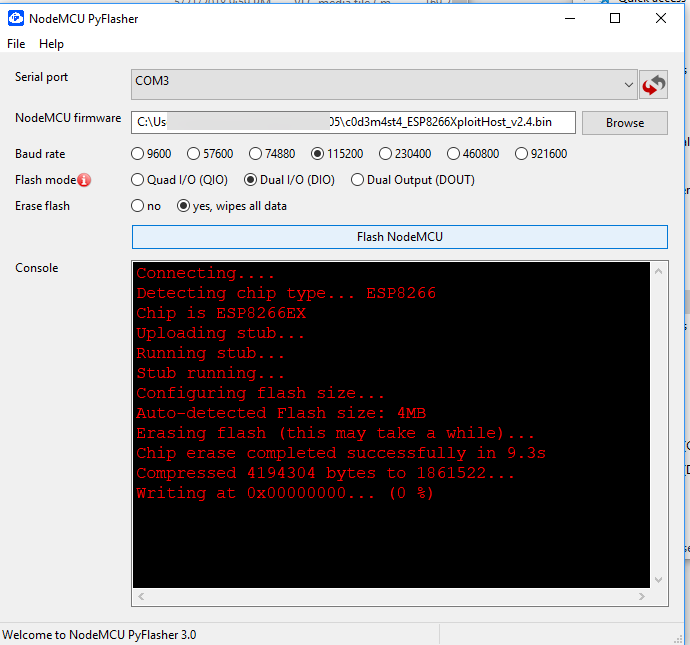 A flasher tool that will help you copy the firmware from your PC to the ESP8266 device. Most people will want to download the x64 exe file. Before you get started, make sure you read the README provided with your binary, if there is one. 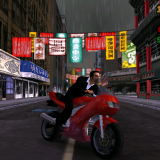 C0d3m4st4’s archive provides a fairly extensive readme that was the basis for this tutorial! From within the flasher, you should be able to choose your serial port (if the list is empty, it means the device was not recognized, in which case you might need to install one of the drivers mentioned above) and select your firmware binary (c0d3m4st4_ESP8266XploitHost_v2.4.bin). Other options are specific to your device: the baud rate (my device recommends to use 9600, but I had no issue with 115200 which is the default) and the flash mode (for clones of the NodeMcu it seems Dual I/O is the right choice). Last but not least, make sure to select “Erase Flash” as we’ll be installing a full 4MB binary. Hit the Flash button and wait until completion. The 5.05 exploit and associated payloads are now loaded onto your ESP8266. 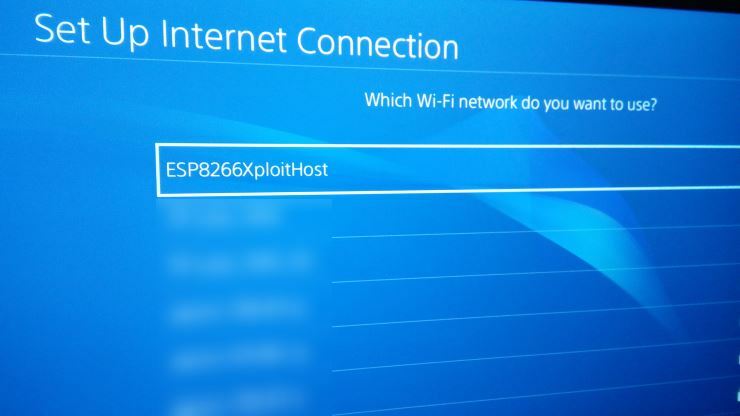 You will now use the device as a “fake” router that your console can connect to, in order to run the exploit. 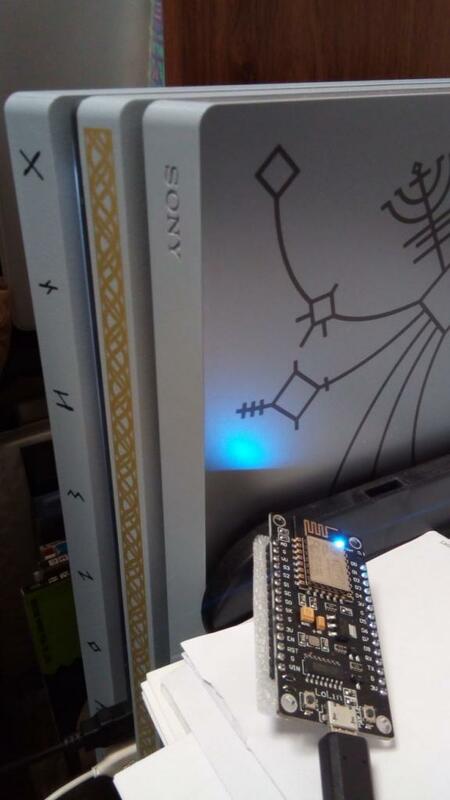 Plug the ESP8266 into your PS4’s usb. The only purpose of doing this is to give the device power. Technically if you have another usb port somewhere that can give the device its power, it should work too. 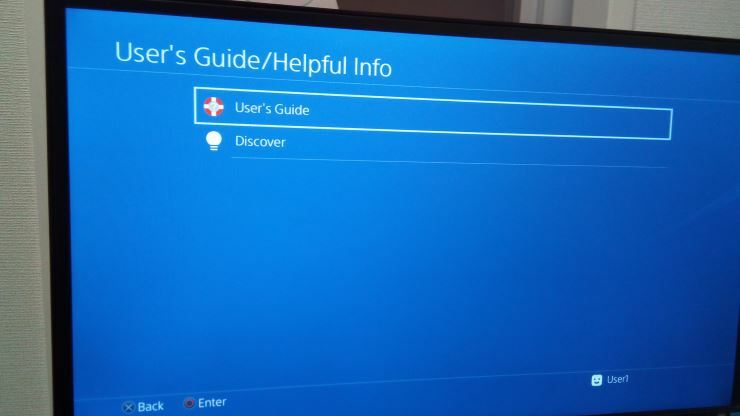 The port on the PS4 is just convenient. To run the exploit, go to Settings –> user guide, and launch the user guide. If everything’s set up correctly, this should load the index page from the esp8266, which lets you choose the payload you want to run. For example, Mira + HEN is what I tried. The exploit might fail a couple of times with an “out of memory” error, but ultimately it will go through, which you can confirm with the joke “GDPR” message. The web browser might crash, so only the “home” button will take you back to the main menu. 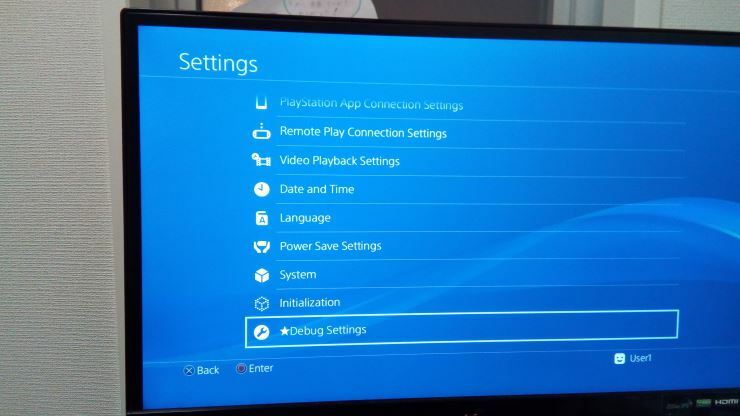 the presence of the “debug settings” menu in your settings will definitely confirm that the hack was succesful. 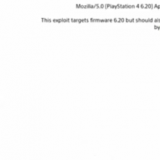 * Please note that there are multiple ways to run the PS4 5.05 exploit and accompanying payloads. You can host the exploit locally on your computer, or android device. Or you can use an online option such as the version hosted on qwertyoruiop’s server. Using an ESP8266 is one other alternative and I personally find it quite elegant. If you have the board with no buttons, you need to connect GPIO2 to VCC, GPIO0 and GPIO15 (if present) to ground, and power on like that to enter flash mode. Connect GPIO0 to VCC to boot normally instead of flash mode. However, I’d recommend buying one of the replicas from aliexpress.com, as they are much cheaper and they seem to work just as well as the original ones. any ESP8266 should work providing you buy a 4M version but i would recommend something like this off amazon, it’s what i bought and it’s cheap. How’s the noise level of your Pro? I’m considering buying one, but loud fans drive me crazy. Like an airplane taking off… Is it supposed to be this loud with a jailbreak? It’s my first time jailbreaking mine. Their description says HEN 1.5. It’s up to 1.6 now. I recommend ESP8266 + extra memory 32M Flash the price of the module is almost the same as 4MB, but the bigger capacity will enable you for future projects and more goodies. Is there any ESP8266 software including the new ApptoUSB (5.05) payload? I recommend a Toshiba Flash Air SD-Card, as an all in one Super wonder solver…. Simplpe to use, looks great! if you see the debug settings, it is no confirmation the exploit has been runned successful. in some case I load hen but with memory error (it was on 4.05 and 4.55) and see the debug settings but apps still are locked. it did not happen often. Is it possible to change/hide the SSID? Windows isn’t in flavors. Linux is. 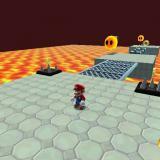 Or, different levels of broken, if you will. I have an issue this one by c0d3m4st4 is perfect i made mine including xvx-hen only but it doesn’t contain feature to use easy connection when i do it i fail at proxy server and i must use custom instead of easy any idea how to fix that ? 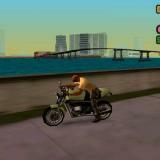 Can I send gta5 payload from this? If possible how? 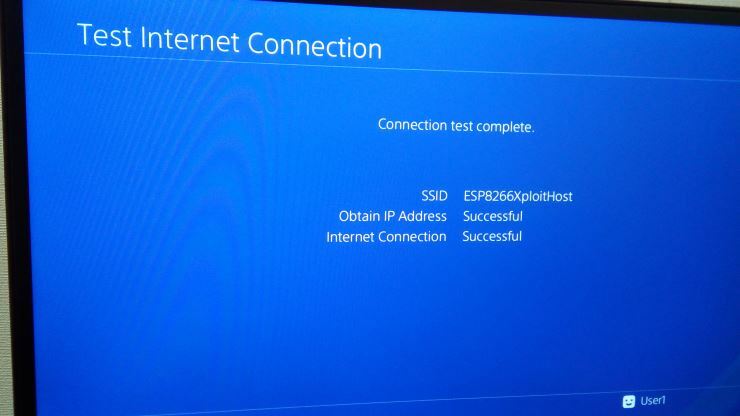 When i try to connect to the esp it asks for a password, are there any defaults? I just released a HEN enabler for the big brother of the ESP8266. It is very basic and just enables HEN. 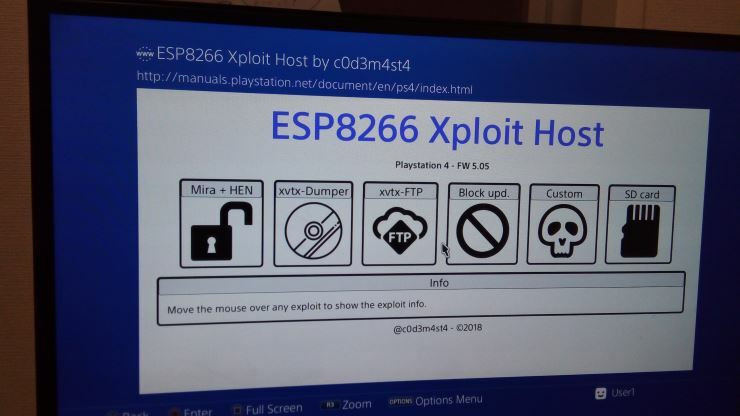 You can find the code on https://github.com/CelliesProjects/esp32-ps4-jailbreak. Thanks for your site and good luck. Re: Resetting TempAR menu/trigger buttons to default?